Going through the door into Inventory Barcelona, you’re forced to exercise great restraint, because it’s one of those shops where you could buy everything. Its founders, interior designer Allan Stuart and artist Gabriel Pereyra, have exquisite decorative taste, and for the last five years they have been sharing it with the customers who visit their premises in one of the Barcelona’s most bohemian neighbourhoods. The shop is housed in what was a textile factory’s dyeing and washing area, but now customers come in search of furniture, lamps, fabrics, posters and maps, art books, household items and stationery, among other products. One of the most eye-catching parts of the shop, however, must be the framing workshop, manned by Gabriel, who creates some unusual cardboard frames for paintings and mirrors. “My relationship with cardboard probably began in Argentina [his country of birth], with the cartoneros. They were conspicuous characters because they went around the city pulling carts piled with cardboard”, he explains. Gabriel has painted and drawn compulsively for as long as he can remember. Though he studied psychology, in truth his passion is art, which was why, one fine day, he decided to pack his suitcase and move to New York to join the Art Students League, attracted by the teachings of a lecturer who had been a direct disciple of the German expressionist George Grosz. Back in Argentina, he set up a framing shop with his family, but fate, and his admiration for painter Diego Velázquez, he admits, brought him to Barcelona at the age of 38. 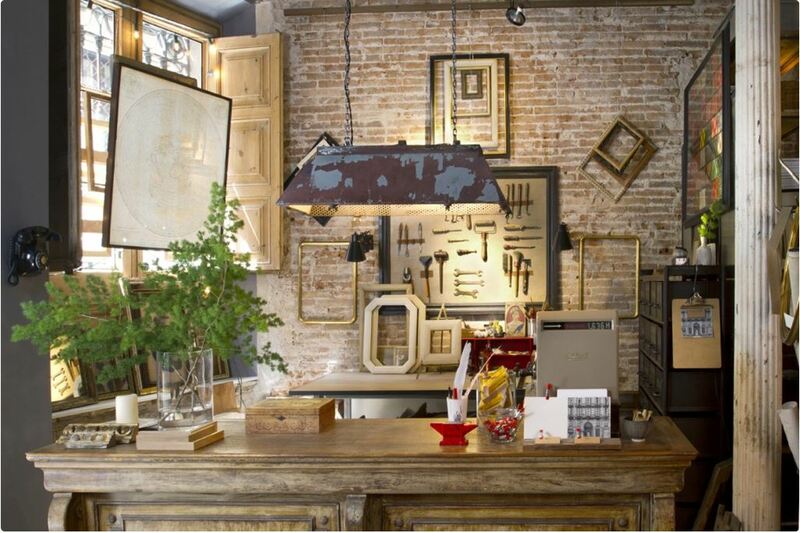 It was in Spain that he perfected the art of framing “in workshops where I had access to all kinds of antique frames”. And it was also where he met his Finnish wife. On a visit to Helsinki, Gabriel saw a cardboard furniture exhibition and it fascinated him: “It really struck me that the material was visible and that the furniture could be used, so I wondered whether I could make vintage cardboard frames“, he tells us. That was the beginning of a journey that, according to the Argentine artist, has no limits. 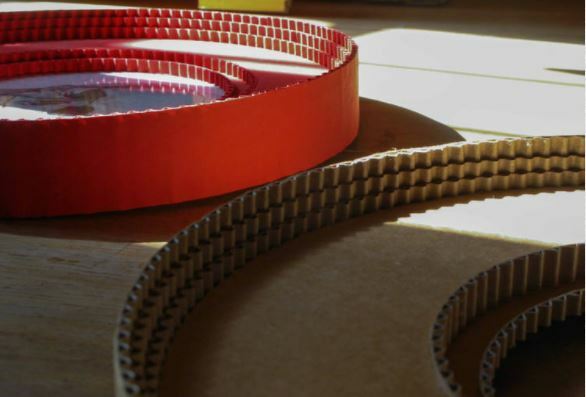 “I started using recycled cardboard, like you can find on the street, but then I began buying sheets of corrugated cardboard, which is a bit tougher, more resistant, because as you perfect your craft you become more demanding”. What he does is “skin” the sheets, we might say, so that the cardboard’s undulations are exposed. To give the frame a convex shape, he uses large tubes, like the ones used to store photographs or posters, cut in half. And finally, he paints them, “to make them strong”. 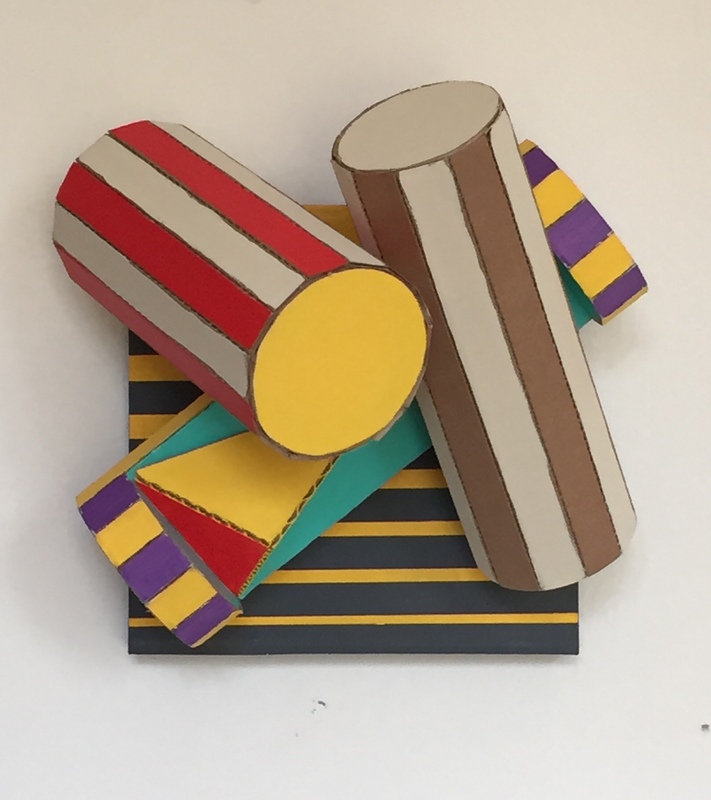 Gabriel, a multidisciplinary artist, recently used cardboard to create some colourful geometric works of art more akin to sculpture than painting. Some of them measure up to two metres. And at Inventory Barcelona he is also selling some little drawings on paper with frames that look like wood, signed with the pseudonym Peyrone. “I invented an alter ego so that I could turn some of my work into commercial products that could be reproduced again and again and sold at a good price”. This enables him to produce more personal, eclectic pieces, such as watercolours, which he exhibits on Instagram, without having to think about the money. Gabriel is open about it: “I don’t reject money; I reconciled myself with that some time ago. Because when you’re an artist it’s as if you’re supposed to work for the love of art, as if you can’t think of your work as a commercial product. But now, thanks to the shop, something has clicked”. Now, what he doesn’t have enough of, he says, is time: “I want more time, I’ll pay you for it”, he suggest, laughing. With jazz – his favourite music, almost an obsession – playing in the background at Inventory Barcelona, Gabriel says he feels privileged to be able to devote himself to his passion: “Not many people have the satisfaction of doing what they want. Getting off the treadmill isn’t easy”. And he recommends: “Keep paddling, because comfort is destructive”. We take note.